The Brooklyn Botantic Garden Plant Sale kicks-off tonight. Our roof garden is now almost full, so we won’t be hauling as many plants home this year. Still we will have our eyes open for a couple of less-common plants — special plants we can’t easily find at a local garden center or farmer’s market — that will solve specific problems in our garden. This summer, one of our goals is hiding the chimney in our garden with a lush vine crawling up a trellis. While our neighbors have had luck with a wisteria, we’re thinking about either a honeysuckle or a climbing hydrangea. Matthew’s blogged about how great his climbing hydrangea grows and a couple of garden center sales people have told us that honeysuckle has what it takes to grow fast in a harsh, city environment. For more roof garden plant ideas, check out Better Homes & Gardens list of 15 Best Plants for Rooftop Gardening. It must be five o’clock somewhere. Between tax day and starting the tomato plants and all the other spring chores, who wouldn’t want to take a martini break. I wish our co-op would allow us to anchor things to the walls. Sure, a trellis would be nice . . . but I really want this outdoor bar! 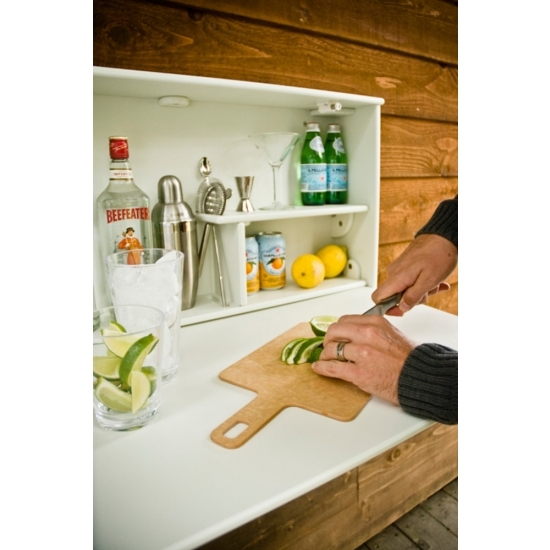 The Loll Wallbanger ($399, available in 8 colors) snaps closed with hinged door that doubles as a work surface. Magnets hold it closed when not in use. The interior will store bottles and a built in shelf will hold tools, glassware, and other bar tending equipment. Fab.com has some fresh gardening sales! I have a hard time finding modern cool gardening supplies so I’m glad Fab.com continues to offer garden goods. Keep in mind that Fab.com’s sales are private, so you need to be a member to buy the items. 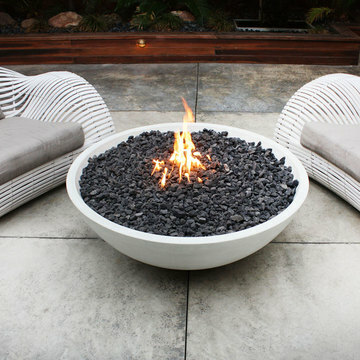 Above is the Lumacast Fire Bowl ($2,800). Probably better for a backyard than a roof garden, but we sky gardeners can still dream. 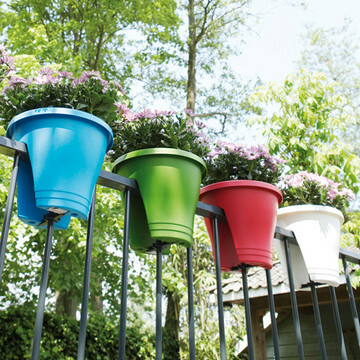 Rail planters ($20) could be useful on a roof garden stairway, a fire escape (if that’s safe and legal! ), or even a chain link fence. 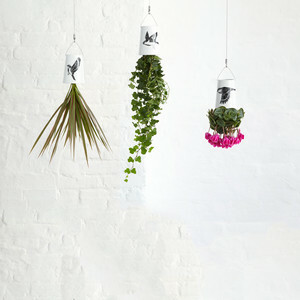 Upside down planters from Boskke ($49 for 3) seem to still be a trend too . 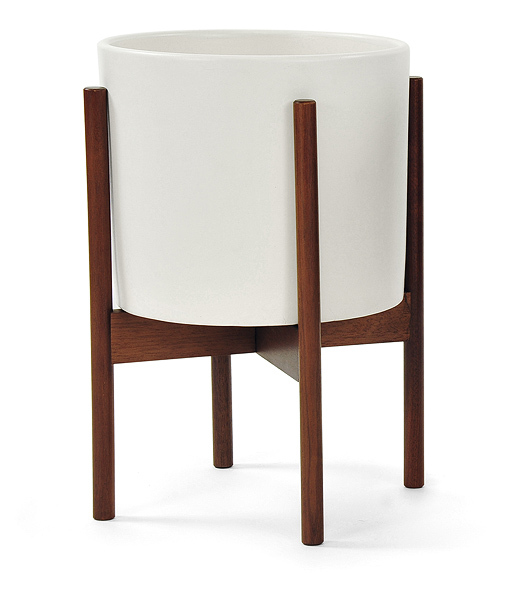 . .
And there’s a deal on some bright modern planters and indoor/outdoor furniture from Serralunga 1825 too. We had our first busy gardening Saturday of the season. We decided be a little bit crazy. We bought $22 of violas and planted them in our front planters this morning . . . actually we woke up at noon, so it was this afternoon. Putting tender plants into the ground means we’re committed optimists; it isn’t going to snow or freeze now. Phillips Farms was selling purple, yellow, and lavender violas at the Grand Army Plaza greenmarket. We bought a flat of plants for the planters in front of our co-op. While I was on the stoop planting and sweeping away a winter’s worth of cig butts and leaves, RP was up at our roof garden measuring for furniture and planters. With the garden drawing in place, I shook up some negronis (while tradition splits the spirits evenly, we go stronger: 1/2 Bombay Sapphire gin, 1/4 Campari, 1/4 Noilly Prat vermouth. “”The bitters are excellent for your liver, the gin is bad for you. They balance each other.” – Orson Welles) and made some furniture and planter decisions. 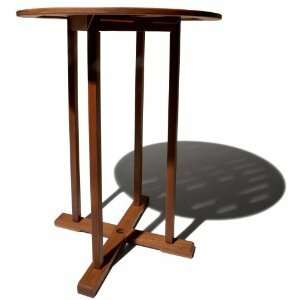 RP and I bought two galvanized stools from Industry West and a teak outdoor table from Amazon (Strathwood Bradford, by name). We like the contrast between the wood and metal. We need the height of a bar table so we can peer over the table to catch the view. Next up: We need to find a planter for our vegetable garden and RP wants a Buddha. Namaste from Brooklyn! An affordable, modern planter is hard to find. You might want to check out these elegant Case Study ceramic planters from Modernica. I like their mid-Century California style. If you’re careful, they should work both indoors and out. I’ve wanted to give them a try, but they’re a little bit expensive. Fab.com has them today at about 20% off. If this seems like a budget-busting option (we have to save money for plants after all!) and you’re in the NYC area, you might want to check out the planters at Build It Green that I posted on Saturday. 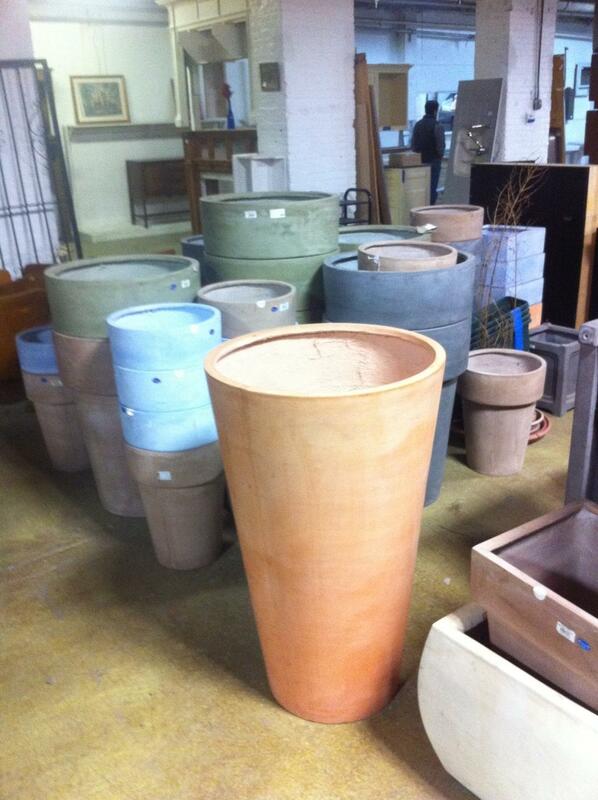 Deal on Big Planters at Build It Green! We roof gardeners need big pots! Bigger pots stay moist longer and don’t blow over on stormy days. Check out what we found at Brooklyn’s Build It Green in Gowanus. 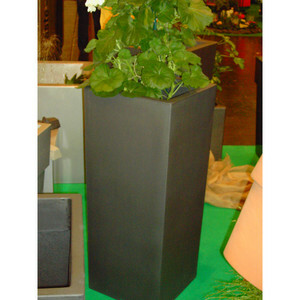 We bought three waist high zinc color Terraccino fiberglass planters and one slightly shorter one for $110. That’s $110 total! If we’d be lucky enough to find pots like that in stock at a local store they would be over $100 each, I’m sure. If you’re in NYC and need big planters, get over to Build It Green fast. We might head back tomorrow for more. Now to research soil delivery to fill these huge planters!